On the occasion of International Mother Language Day, Microsoft has announced support for email addresses in 15 Indian languages across its email apps and services, including Office 365, Outlook 2016, Outlook.com, Exchange Online and Exchange Online Protection (EOP). For the first time, users will be able to use local language email addresses for Outlook accounts on PCs, e.g., व्यक्ति@संगठन.भारत. It will also allow users to now seamlessly send/receive mails to/from local language email addresses via Outlook client on PCs, outlook.com in addition to Outlook apps for Android and IOS. This initiative is part of the company’s ongoing efforts to support Email Address Internationalization (EAI) across its products and services eco-system and make technology accessible in local languages. The languages being introduced are those that support Unicode, an international encoding standard for use with different languages and scripts. Local language email addresses are inseparably linked with Internationalized Domain Names (IDNs) and can currently be registered in these 15 languages according to .IN Registry, which is responsible for registering IDNs in India.Microsoft’s products will also support additional Indian languages as and when their IDNs and email addresses become available in the future, making this feature forward compatible. Microsoft and Local Language computing: Starting with Project Basha in 1998, Microsoft has been consistently working to provide local language computing in Indian languages. Microsoft supports 22 constitutionally recognized Indian languagesoverall, including 11 Indian language scripts for Office and Windows. Moreover, Bing allows users to browse in nine Indian languages. 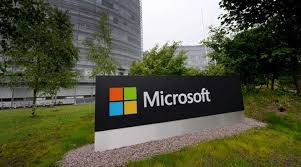 With the help of its AI technologies and Deep Neural Networks, Microsoft is now making translation and speech recognition across several Indian languages, in addition to making Indic computing on the local cloud a reality by launching local cloud services from India data centers.